Use This Link To Apply For The Property Of Your Choice. What You Don’t Know Will Hurt You. Don’t Accept Ordinary Any Longer. Expect EXTRAORDINARY. Whether you’re renting out your condo or multi-million dollar estate, at First Team® Real Estate, no transaction is “business as usual.” That’s why we’ve created a new set of rules and standards to serve you successfully in this challenging environment. We keep our finger on the pulse of real estate because it’s not just our job – it’s our passion. With over 40 years of business under our belt, we know what works. 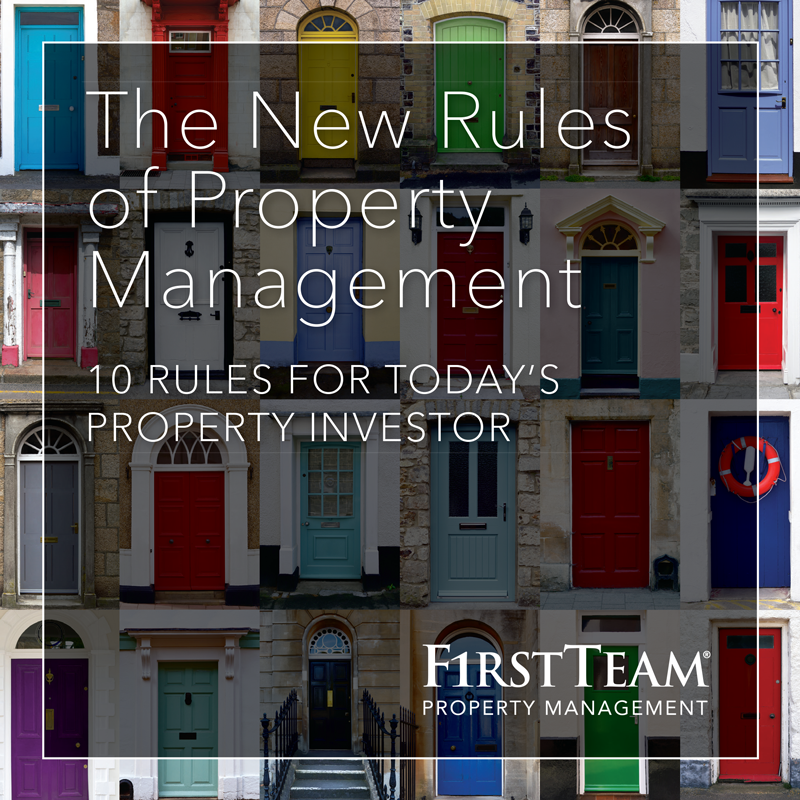 Regardless of market conditions, achieve success and remarkable results when you use a company who knows The NEW Rules of Property Management. View all 10 Rules Now! Why First Team Property Management? First Team Property Management is at YOUR service, making you and your property the center of our attention. That’s why we always put YOU first. We make it our business to know the market so you are provided with thorough, well-interpreted, and comprehensive advice on all things property management. It’s how we put YOU first by simplifying the decisions property owners are faced with when owning a rental property. Proactive property management begins by evaluating all critical factors and elements. We understand the value you place in us to manage and care for your property and tenant, and we know how valuable the income and asset value is of your property is to you. You will have peace of mind knowing that your rental property is protected and you are primed with information and updates constantly. First Team Property Management has invested in success by engaging one of the world’s leading authority on property management systems and implementing the globally recognized and respected ireviloution intelligence (ii) property management systems to ensure compliance, consistency, and completion of all property management tasks undertaken by your First Team Property Management team. The ii systems are the platform on which First Team Property Management will build our service and reputation to ensure we deliver on our promises and our property owners have peace of mind knowing that every task is monitored, measured, and managed to achieve compliance, completion, and consistency. The property management team is incentivized to achieve maximum levels of productivity while never compromising their performance standards and results. First Team Property Management is striving to achieve the prestigious “Pinnacle of Property Management” status, which has a stringent success criteria, and by achieving this, property owners can be assured of the highest levels on service, standards, and results. Our property management service team is empowered to be “Relentless in the Pursuit of Remarkable.” We value our reputation and brand; that’s why you will have peace of mind knowing that our service team is relentless in our pursuit of delivering a remarkable service and results to YOU. First Team Property Management makes it our business to know what is important to you: purpose for the property being available to rent; preservation of the property, the income, and the capital value; profit through the highest possible income and long term capital value, while mitigating and managing overheads through proactive, predictive, and pre-emptive advice and recommended action. First Team Property Management services promise to YOU that it will provide and deliver property management services that are relevant, innovative, client-centric, service-driven, and results-orientated. First Team Property Management will set the industry benchmarks. Our focus is about delivering the best possible results for YOU and to influence market trends and rental returns to ensure YOUR property is protected. Your success is just as important to us as it is to you. That’s why we measure our success on the success we achieve for YOU. Our philosophy is that we can only boast about our success when we have the testimonials and proof from clients boasting about the success of their rental property being managed by YOUR First Team Property Management team. YOU have your own reasons for engaging the services of a professional property management company and we understand that. That’s why at First Team Property Management YOU are the reason for us. There is purpose in every task of the property management service team. In order to deliver in our promises to you, every task has its own timeline, objective, and outcome. You know what to expect and the property management service team know what and how to deliver. Purposeful and proactive communication is our mission to support you in staying focused on how to achieve your outcome and targets for your rental property. Bi-annual property inspections that are consistent and concise, regardless of which First Team service team member conducts the inspection. We provide advice on how best to maximum the returns, appeal, and value on your rental property. Maintaining value and appeal. A property that is maintained by the owner will attract a tenant that also takes pride in the property (their home). Delays or neglect on minor repairs can often lead to major expenditure and the loss of a good tenant. Our proactive management of maintenance and repairs preserves your rental property and income. Setting the market averages. First Team Property Management takes pride in our community and the returns property owners achieve. We proactively work to ensure true market income potential is achieved on your rental property. To find out more about our world-class service, call or email our property management service team. We are determined to break the norm other property management companies are content with by delivering unsurpassed levels of care, support, and service. What you don’t know will hurt you. Don’t accept ordinary any longer. Expect EXTRAORDINARY. Jo-Anne Oliveri, CIPS, TRC, Founder and Managing Director of property management business solutions company ireviloution and author of Find Your Property Manager NOW: Hire the right agent and make more money, is an international real estate identity who has trained over 500 agencies and thousands of agency owners and property managers worldwide. 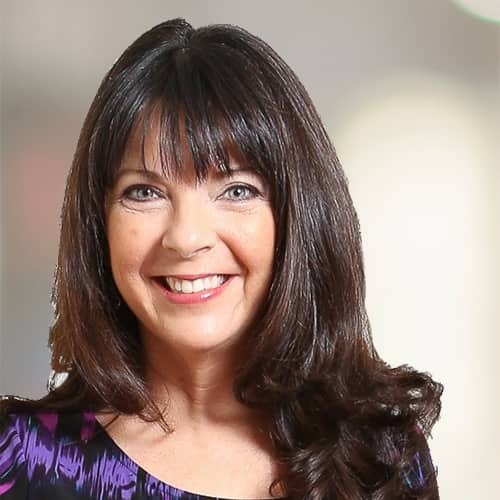 With over 20 years’ real estate experience, she is seen as a global thought-leader and leading authority on all things property management and regularly speaks at the industry’s top Australian and North American conferences. Jo is acknowledged as a warrior of change, the Purple Empress and Paradigm Smasher. Her energy is fueled by a purpose and passion deep within her. In 2017 Jo-Anne was invited to research market opportunities and to create a property management business for First Team Real Estate. So impressed with her knowledge, passion and purpose in property management along with the blueprint for success she created for the re-launch of property management, Jo-Ann joined the company as Vice President of Property Management. In 2018 Jo moved to Orange County California and is leading the growth of a property management service that is ‘By Design’. What's Your Biggest Headache Right Now With Your Property?